Wear Sensor is a device used to monitor the brake lining wear of S’ cam brake system. It provides signal to the display unit mounted in the dash board of the vehicle and alerts the operator when the lining is worn out and due for replacement. Madras Engineering Industries Pvt. 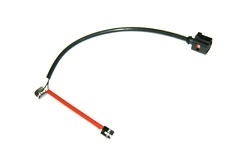 Ltd.
- BMW F10 Brake sensors Rear OEBSR-B02. - BMW F10 Brake sensors Front REBSF-B02. With the help of adroit team, we present an extensive series of BMW 5 series F10 Brake Sensors. Our products are available in diverse specifications that meet on customer’s demand. The S emblem. Many impressive vehicles have been created by Audi bearing this emblem. A tradition that is seamlessly continued with the Audi S5 Sportback.